The 'Soviet Arrow' is a blinder! General Melchet was also busy working on the Rapier, but don't know how far he is right now. 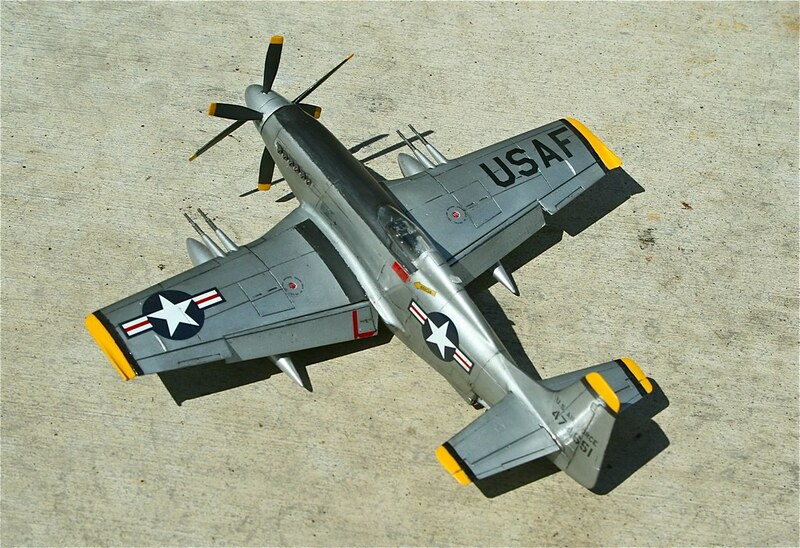 Here's one I saw on a R/C modeling forum. The guy got a slightly crashed Texan model from an owner who didn't feel like fixing it. The new owner thought that it would look cooler as a fighter. Wing span is a bit over 2 meters. I hadn't seen this one before: F-51-R Interceptor, to counter the "Amerika bombers". actually that F-51 was on Hyperscale &/or ARC last year, so is simply a "share" re-post. Both those last 2 are awesome ! And an eye-popping S6B from a Canadistani builder !! Both of them are REALLY good Ian, well spotted. I can't imagine why the RAF camo S6B hasn't been done before, it's so damned obvious!